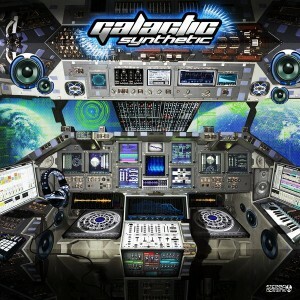 Tsabeat joins forces with the Ektoplazm free music portal to bring you Galactic Synthetic, a cutting edge psytrance compilation featuring an assortment of collaborations and solo productions by Guinea Pigs, Tsabeat, Wizack Twizack, and Progress. Together these artists bridge the gap between full-on and darkpsy with intricately creative psychedelic dance music designed for the night-time hours. The darkly layered melodies and driving beats heard on this interstellar voyage will appeal to sophisticated galactic travellers as well as the more earthbound among us. Cover artwork by Sierra Designs. MP3 Download | FLAC Download | WAV Download · Download count: 18,554. Released under a Creative Commons licence for noncommercial usage. More music from Tsabeat, Wizack Twizack, and Progress is also available through Ektoplazm. Lovin the album art. Very cool. Downloading now, i’m sure I will be satisfied just like every other album that comes off this rediculous site. Thanks yet again! Nice Offer ;) Thx alot! OMG. I love so many of the these tracks originals. Can’t wait to hear this thx! Thanks to Ektoplazm I hardly need to steal music anymore! Keep up the great work!!!! Mad <3 to Ektoplazm!!! dood helll yes! Tsabeat and Wizack, what a mad collaboration! aaaaayeaaaa… so nice i want it twice……. boom ! thanks I enjoyed myself doing this artwork! absolutely mr. Wizack twizack you got me added on MSN. send me an e-mail with the size you would like it, and I’ll send the HD resolution image to you. I’m looking forward to go and live at Canada or at Europe if any music company would like to make an association, contact me and we could make BIG bussines.